A chance meeting resulted in the newly elected President quoting the PA/UNRWA war indoctrination curriculum in his first meeting with the Prime Minister of Israel - and we reaped the fruits of decades of research. 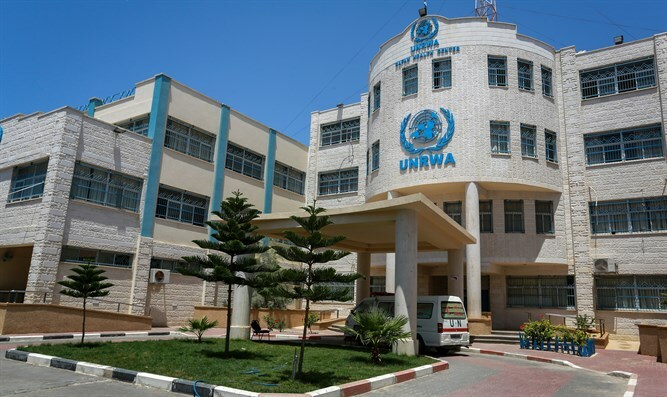 Coincidence played a part in getting the truth out about UNRWA: Hard work made it available. I happened to sit next to someone from Trump's transition team in December 2016 at a conference in Jerusalemn and had no idea who she was.. When I found out AFTER the event, I called the official on her DC cell phone which worked in Jerusalem and asked if she would like to see the full UNRWA curriculum and selections of 30 years of investigations of UNRWA, posted unfailingly by Arutz Sheva, carried out by my team at Israel Resource Agency..
That curriculum wound up in the Oval office. This enabled direct contact with the White House. In January 2016, a senior official at the US State Department had called me a liar, to my face. He informed me that all the work that we had done on the Palestinian Authority textbooks used by UNRWA, using a professional Arabic translator, was one great fabrication, that the US government had checked out the PA textbooks used by UNRWA, and that they met the highest standards of peace education. USAID in Ramallah wrote to us, saying that the US “never examines the PA textbooks used by UNRWA”…despite the fact that the US donates $400 million each year to UNRWA – one third of the UNRWA budget. To respond to this, I asked my staff to purchase all PA textbooks used by UNRWA and to translate all the books, so that we could hand the results to theUS Congress and to the Israeli Knesset. One of the ironies is that USAID in Ramallah wrote to us, saying that the US “never examines the PA textbooks used by UNRWA”…despite the fact that the US donates $400 million each year to UNRWA – one third of the UNRWA budget. Now, the newly elected President quoted the PA/UNRWA war indoctrination curriculum in his first meeting with the Prime minister of Israel and referred to it ever since as the basis of his policy of attack on UNRWA and the PA. In three trips to DC since the President came into office, we made it our business to stay in touch with the right policy people. Pushing the UNRWA issue made enemies and oresented countless hurdles. 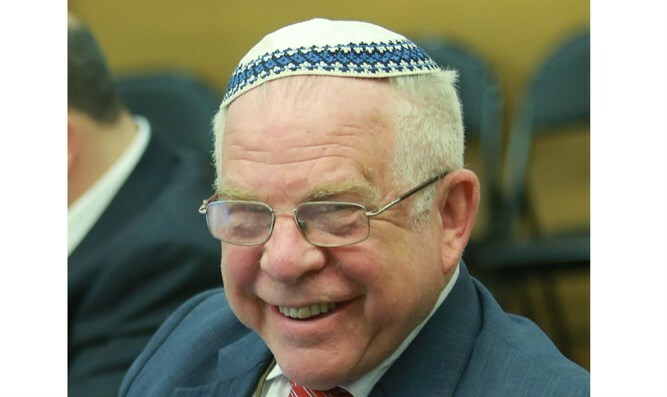 My mentor, Social Work Prof. Eliezer Jaffe z"l, encouraged me a few days before his death in May 2017, saying that the careful process we had applied in our work would change US UNRWA policy and could even bring down UNRWA. He was correct. Never ascribe success in Jerusalem to your own abilities. Believe that the blessings of Hashem for Am Yisrael in Eretz Yisrael will enable your success. Eliezer z"l stressed, however, that a problem is a problem when someone makes it into a problem. Let us remember that UNRWA is battered, but still alive and well and kicking. Unless other nations follow suit, the UNRWA curriculum motto of the "right of return by force of arms" will continue to pose a lethal threat to every Jew in Israel.